Home Fake News What is the UN Migration Pact? The defining political divide of our era, nationalism versus globalism continues to widen. Chances are that you probably haven’t heard of the UN Migration Pact? If you haven’t, you’re likely not alonel but you may want to ask yourself just why. Not surprisingly, in most western countries, there’s been a virtual media black-out on the topic. The UN Migration Pact is an alarming declaration to say the least. The pact is nothing less than a brazen attempt to expunge the idea of the traditional nation-state, and acts as a blueprint for a 3rd world invasion of into western countries. In short, the pact seeks to normalize mass migration, and to establish migration as a global human right. After it’s enacted migrants from all over the world will be able to go where they want, when they please, and for whatever reason. The pact claims that 244 million people world-wide wish to migrate. The pact claims that it would make the migration of this 244 million people “orderly and safe”. As of now they say that the contract isn’t legally binding; however, many of its critics say that the current form of the pact is a merely stepping stone towards implementing these policies as international law. The contract uses language like “we commit to” or “we agree on”. 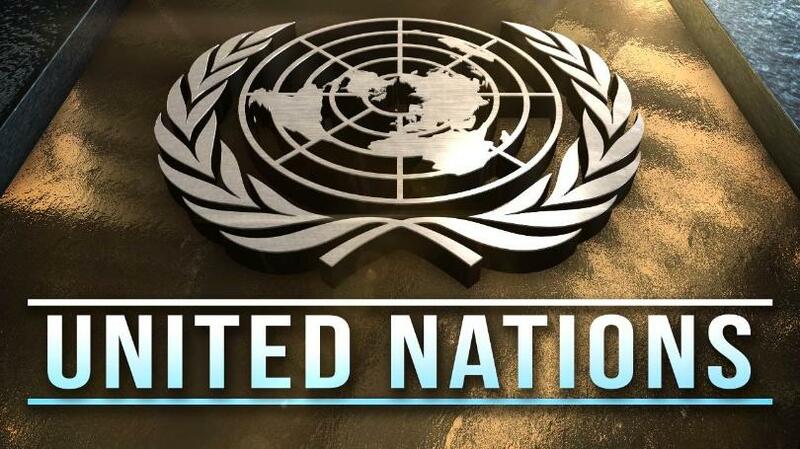 Signatory nations will de facto hand over their sovereignty to the un-elected and unaccountable United Nations. Effectively, these signatory nations will be giving up their “nationhood”. As Trump has famously said, “Without borders, we don’t have a nation.” And, for the countries who signed the pact, they will no longer have borders. Of the 193 member-states of the United Nations only eleven of them have outright rejected the pact. These countries include Australia, Switzerland, Hungary, the Czech Republic, Slovakia, Poland, Austria, Croatia, Bulgaria, Israel and the United States. Scary, right? This piece of supranational legislation will drastically change our will world. The UN Migration Envoy has commented that EU should do it’s best to “undermine” any national homogeneity. U.S. Ambassador to the United Nations Nikki Haley stated that the US has ceased negotiations on the pact to deal with migration because the global approach to the issue was “simply not compatible with U.S. sovereignty. She couldn’t be more spot on – it’s not. Just last month on the 10th and 11th of December, UN member states met in Marrakech, Morocco for the intergovernmental conference to sign and adopt the Global Compact for Safe, Orderly and Regular Migration. Behind this pact is the globalist theory that there are no national solutions anymore. The theory goes that if any solutions do exist, they only can only be brought about by global cooperation through supranational organizations like the UN. It should be known that countries who did sign the pact didn’t hold a popular vote. The people were never asked whether or not they agree with the pact’s contents. This pact was essentially signed and accepted by unaccountable, globalist technocrats. So, it really isn’t a surprise that some of the heads of state who have signed the compact are facing extraordinary popular backlash because of it. France’s Macron and the prime minister of Belgium, who both signed the pact, have faced massive protests where the vast swaths of their people have denounced them treasonous and have called for them to step down. Erasing national borders is plenty bad, but it gets worse. Not only does the sinister UN Migration Pact seek to impose mass migration on the native populations of western countries, but it also seeks to silence any and all dissenting voices. The pact actively seeks to limit any speech that’s critical of migration. Under the heading Eliminating Discrimination, the pact aims to “stop all material support of media outlets that promote intolerance, xenophobia, racism and other forms of discrimination toward migrants”. The means cutting off ways media outlets who are critical of migration are funded. Furthermore, and in true Orwellian fashion, the pact also states that it will “educate” media professionals on how to talk about migrants. With over 78% of European citizens wanting tighter control of Europe’s external border, the only way this supranational agreement can be directly imposed on people of western nations is if the people aren’t completely aware of it. Unfortunately, because the mainstream media hasn’t been reporting on it, many remain in the dark about the UN Migration Compact. For it to be successful, the compact must remain hidden from popular view. We should all work to bring this obscene attempt to impose a soft form of global governance the forefront of public consciousness before it’s too late.